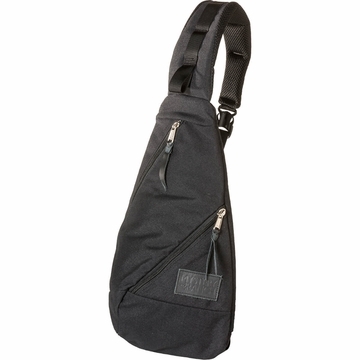 """A simple shoulder bag to accommodate your most essential kit. Certain, key items are necessary to your day to day flow. Our new SCHLINGER is designed to keep these essentials consolidated and readily accessible in a sleek shoulder bag. It features one main zippered compartment for larger items like a shell, camera or manuscript with an interior accessory pocket for small valuables. There is also an exterior pocket for quick-grab items like keys or your mobile.